Welcome to The Savvy Singer my name is Chaneya. (Shu-knee-yuh; it's ok, everyone has a hard time pronouncing it! lol) I've always had a love for beauty and fashion but never acted upon that passion. Over the past year of mustering up the courage to follow through with the idea and getting the reassurance it was something I should do, here we are! I hope to share my love of being stylish while shopping on a budget. 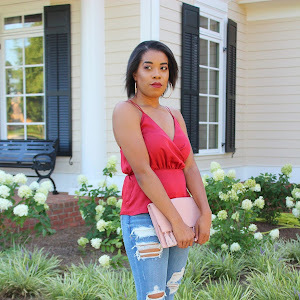 Finding cute and stylish clothes that are affordable and easily attainable is something I aim for. If you have any other questions, just shoot them my way!